The effortlessly simple confidence and beauty of the product itself is always prevalent. All the pieces have minimal printing crafted using techniques that are exceptionally gorgeous. From the business card that uses a very traditional piece of craft called paper marquetry to showcase not one or two, but three styles of Colorplan offering at once, the three papers represent three signature aspects of the range: color, weight and embossing. 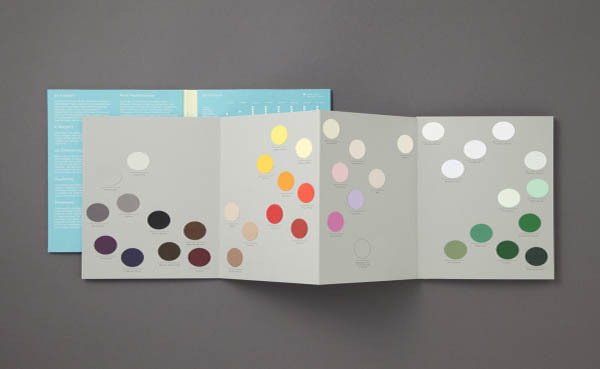 Discover more about the Colorplan Swatch Book at Design Envy; a curated blog of design-excellence-selected by designers for designers.